Antonio Lopez (left) and his father, Silverio. Just west of Corktown, a historic Detroit neighborhood dotted with new eateries and a distillery, lies Southwest Detroit. 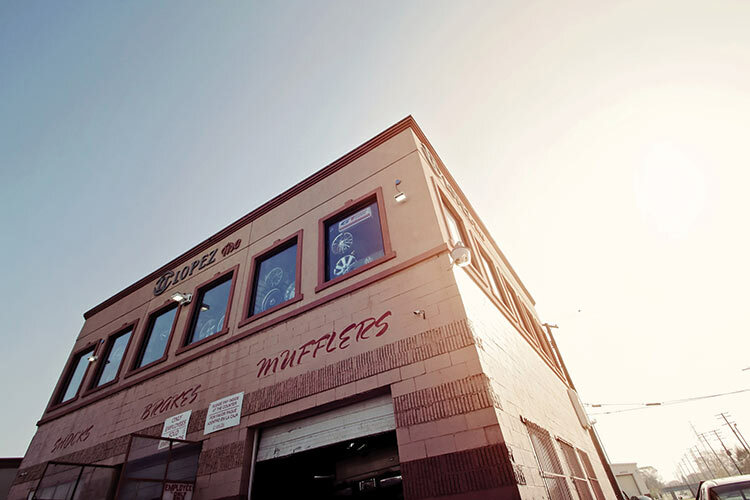 Here, Silverio Lopez and his family run Lopez Tire, a successful tire shop serving the local community for 25 years. Each morning the Lopez men arrive and start pulling tires from ceiling-high shelves, fixing rims and flat tires, all while crossing over each other, moving with the efficiency of a well-coached sports team. It’s still morning, and they are already dripping in sweat and wiping oil from their brows. As they change tires and get customers in and out of their shop, their minds often drift to the sweet juice of agave (the plant that makes tequila) — and the tequila company the family started together nearly a decade ago. Silverio obsesses over the quality of Tequila Cabresto, while his son Antonio is consumed by how to market the spirit. Keeping the business side of the tequila venture going is Silverio’s eldest daughter, Sonia. She has taken the lead in the import and sales of Cabresto in the United States. Silverio lights up when he talks of Sonia, how she’s the first in the family to graduate from college, and how she is using her education and the family passion to help bring Tequila Cabresto beyond Jalisco, Mexico — and beyond Detroit — and into bars and the homes of people everywhere. Silverio and Antonio don’t exactly fit the bearded microbrewer or distiller archetypes. 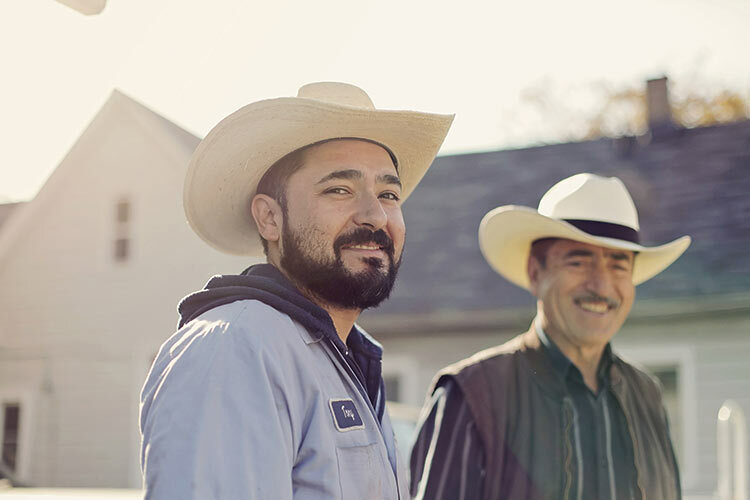 They are cowboy-hat wearing immigrants who have put down roots in Detroit, but they maintain strong ties to their Mexican homeland. They are trailblazers, old-school businessmen with that inexplicable inner burn of wanting to start their own venture and determine their own destiny. 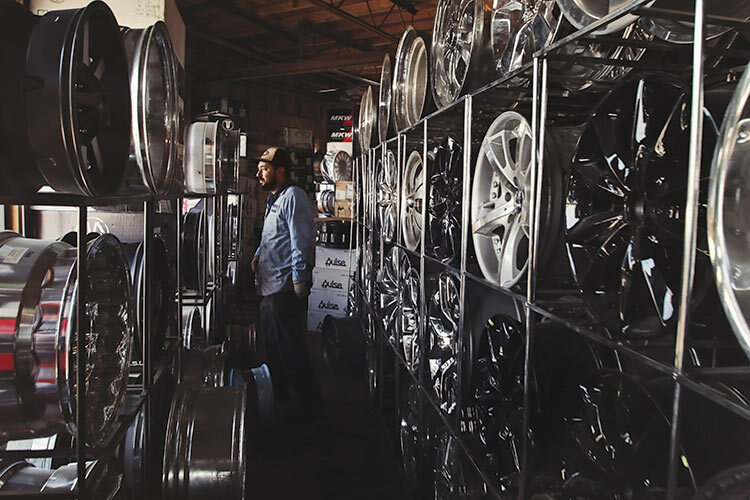 Lopez Tire has been serving the southwest Detroit community for 25 years. They imagined their premium tequila to be a great spirit, but also part of their family legacy — it was Jalisco, Mexico, in a bottle. “For us, Tequila Cabresto is the heart of Mexico and the soul of Detroit,” Antonio says. The next few months are important for Tequila Cabresto. They’re introducing their añejo to the local market. There’s real care taken in the creation of añejo. It must be aged for at least a year. This aging process darkens the tequila to an amber color, allowing the flavor to become smoother, richer, and more complex. To make sure production for Tequila Cabresto’s new añejo is proceeding as planned, Antonio and Silverio recently traveled to Los Altos, Mexico, to check on their latest batch. Lopez Tire in Southwest Detroit. There’s an ease about the Lopez men when they are in their homeland. 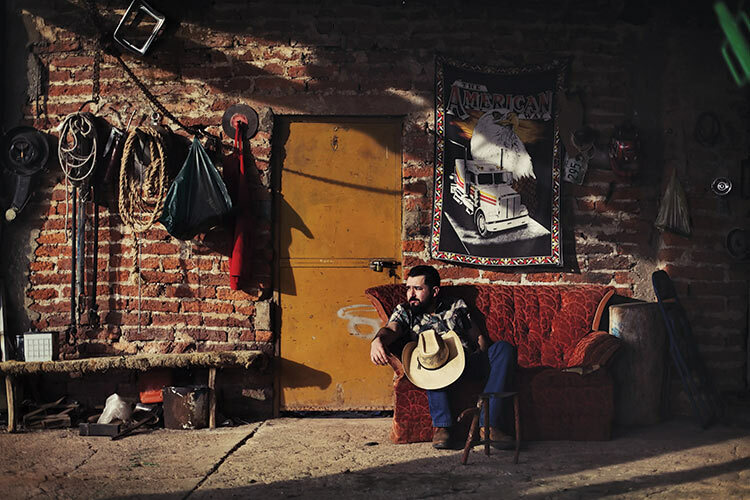 Their shoulders slope and relax, their bodies tilt, and they slowly slide their cowboy hats on and off, exhibiting a certain swagger that has a lot to do with living in a hardened, broken metropolis like Detroit yet being rancheros from Jalisco. The countryside of the Los Altos region is nothing short of breathtaking. Along the off roads to get to Rancho Cabresto, the Lopez family ranch, the lush landscapes stretch for miles, and sky-filled panoramas could be the wilds of Africa. 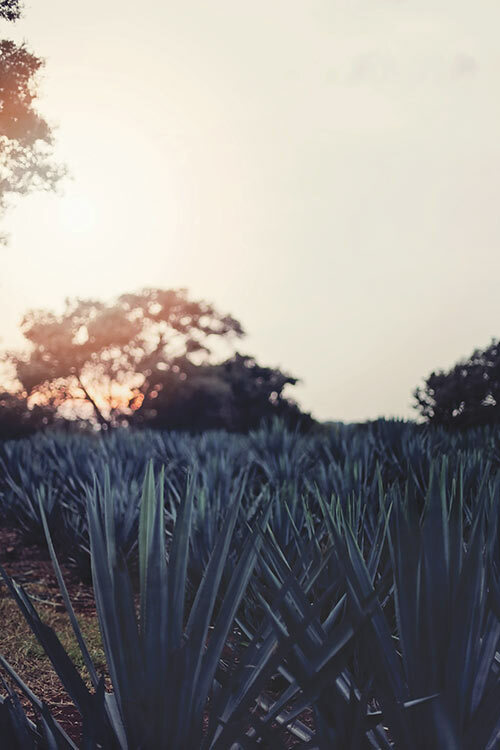 “I soak in the sunsets on the rancho and love walking through the fields, staring at the sea of blue agave,” says Antonio. 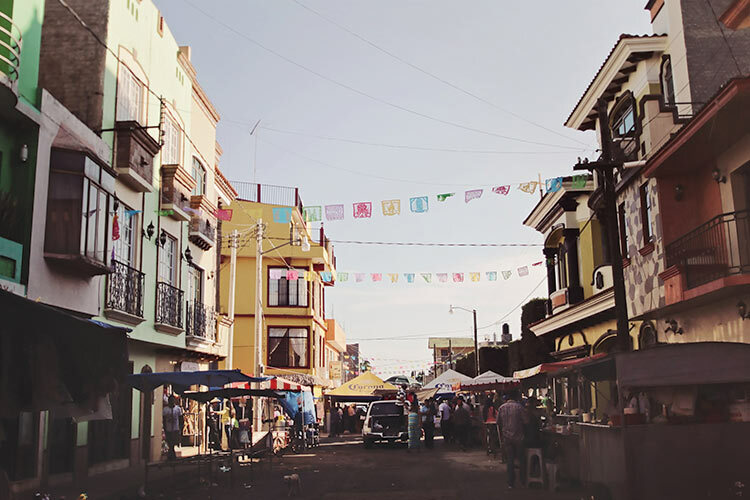 The Lopezes’ visit to Jalisco coincides with a time of year called fiestas, a six-week stretch from December to January when normally sleepy towns celebrate and feast their patron saints. One of their stops is the Templo de Santiaguito to pay respect to the Virgen de Guadalupe. The Virgen is so beloved that every year the community comes together to cover the interior of the church with flowers from floor to ceiling. Antonio Lopez takes a break at Rancho Cabresto. When the Lopez family returns home from Jalisco, they bring a much-needed injection of authentic Mexico to Southwest Detroit. For decades, the ability to go back and forth has allowed immigrant families to comfortably live two stories: one where their Mexican homeland is not forgotten and one where the promise of Detroit has taken hold. “We bring a piece of our culture to the 313, and we want everyone to experience it,” Antonio says. The obsession with the craft of making excellent tequila and all the investment of going back and forth to Mexico has paid off: In 2011, the tire shop owners entered what they felt was their finest tequila — Cabresto — into the San Francisco World Spirits Competition. The contest is considered to be the most influential and respected international spirits competition in America. They won. And they won big. Cabresto’s Silver Tequila took home double gold, a distinction of the highest quality spirit made by all of the judges in the blind tasting tests. The small-batch company has gone on to win some of the most prestigious international spirits awards, beating out globally recognized names such as Tequila Don Julio, Tres Generaciónes, and Herradura. “I was intimidated by the big names and the big budgets by some of these tequilas, but I knew we had a good product,” Antonio says. The Lopez family may be relatively new to the craft of making tequila, but they have been growing agave for four generations. 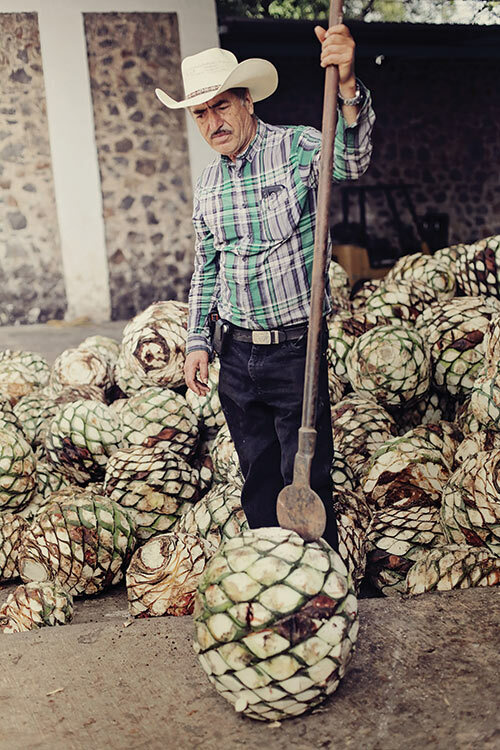 In the early 2000s, the United States experienced a commercial boom for high-quality tequila, so while his sons ran the tire shop in Southwest Detroit, Silverio regularly traveled back to Jalisco to increase the amount of agave they grew. He soon purchased the property next to his ancestral land and began doubling, then tripling the size of his harvest. “The market for agave was huge around 2001 and 2002, and I thought I could make a lot of money,” Silverio says. But many other growers had the same idea, causing a glut in the market, a turn the Lopez family didn’t expect. Distillers began paying pennies on the dollar for agave. Instead of selling his harvest for cheap, Silverio decided to use his abundant crop to create his own tequila. He spent months going to every good tequila maker in the Los Altos region of Jalisco, tasting every possible brand out there. “They were good but not excellent,” Silverio says. He wanted excellent. So he sought out the best distiller in Jalisco, an artisan named Cristobal Morales, who worked under the tutelage of the famed Don Julio from Don Julio Tequila. Morales, now on his own, agreed to work with Silverio, and in 2008, they introduced Tequila Cabresto. But selling the tequila proved harder than making it. The appetite for craft spirits hadn’t yet exploded nationally, and Detroit was still largely a beer town. They were selling just a case a month and struggling. Soon, Antonio got involved. He began using Tequila Cabresto to promote music and sporting events all over the city. 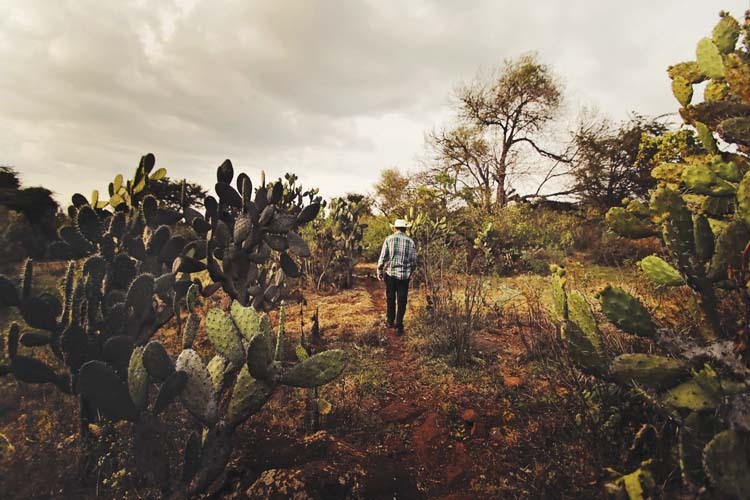 Silverio Lopez spends hours walking the ranch, personally checking on the blue agave fields. Today tequila is big business. According to The Distilled Spirits Council of the United States (DISCUS), the U.S. has more than doubled sales of tequila over the past decade, from $962 million in 2003 to more than $2 billion in 2015, representing about 52 percent of the global sales market. Part of that shift was brought on by brands such as Patron, which “introduced distilled spirit drinkers to the idea of connoisseurship, a concept once relegated only to wines,” says Mark Spivak, whose book, Iconic Spirits: An Intoxicating History, chronicles the coming of age of premium tequila. Antonio remembers when the company could barely sell a case a month and how hard it was to get people to try his tequila. Juice from the large piñas or “pineapples” that grow under the agave plant is used to make tequila. But after a nonstop effort — and after racking up awards like the Best In Show award at the New York World Wine and Spirits Show in 2014 and the Triple Gold at the MicroLiquor Spirit Awards in 2015 — sales increased. Tequila Cabresto is now sold in 280 locations throughout Michigan and growing. Preparations for the release party of their 18-month-old añejo are underway for this spring. As for the Lopez family, they are excited about introducing their legacy spirit to a whole new audience. “Tequila is a connection to my culture, my family history, and background,” Antonio says.“It’s the red dirt of our region — all in that little glass.